fit-PC2 raised the bar for miniature fanless computing and became an extremely successful building-block in robotics, digital signage, video surveillance, telecommunication transportation and automation. With its tiny and robust build fit-PC2 was mounted on vehicles, trains, boats, airplanes and even rockets. fit-PC2 was installed in clean-rooms and African classrooms, underground, in homes, restaurants, theme-parks and museums. While fit-PC2 itself does not age, its technology does. 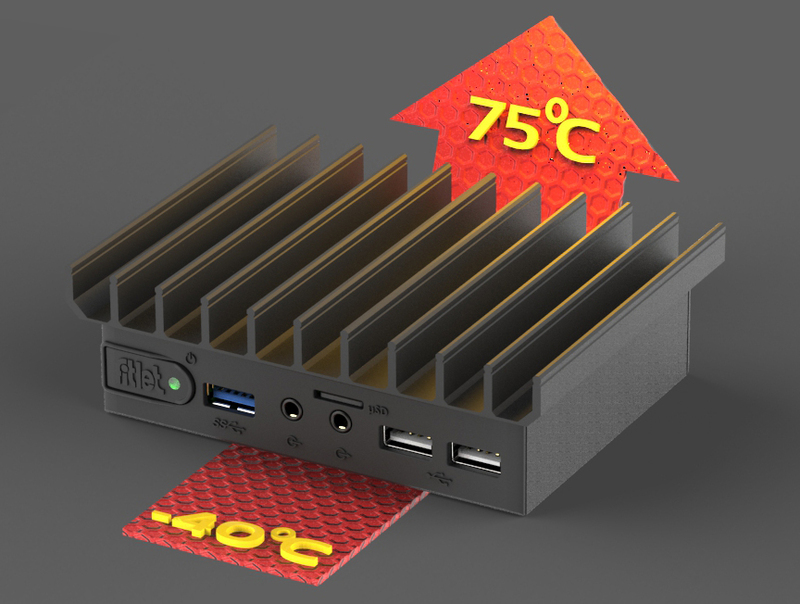 It is time to introduce a better fanless PC. Meet fitlet. fitlet-B performance is over 6 times that of fit-PC2 Value. fitlet incorporates 64 bit CPU that can address more memory and support 64 bit operating systems. Up to 2 GB soldered down RAM in fit-PC2. fitlet-i also has powered eSATA not found in fit-PC2. 4 Gbit Ethernet ports in fitlet-X LAN. fitlet is using only Intel NICs (I211) for Gbit Ethernet. fit-PC2i has 2 GbE ports, but with realtek NICs. None of these features is available in fit-PC2. fitlet has many additional features, including SMBUS, remote power button, programmable auto-on, power + USB locking and replaceable battery.